Inner bath, "Hana-no-Ki: Oshibe-no-Yu / Meshibe-no-Yu"
The river play that old people of Heian played to celebrate the seasons. 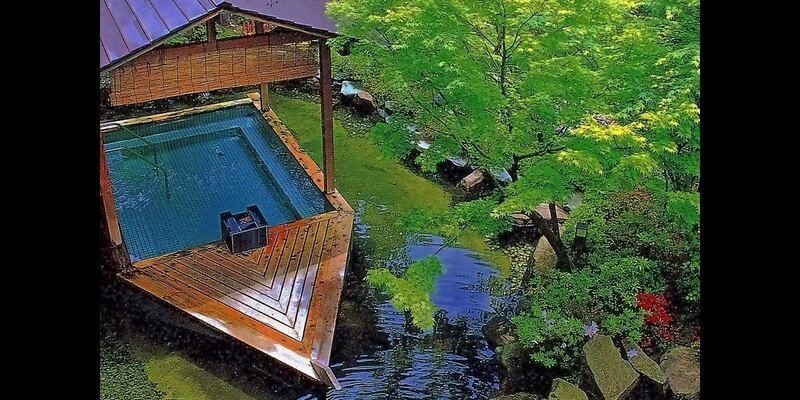 "Ogata-no-Yu" floating on the pond in the garden is an open-air bath that wishes that its elegant style is comfortable. In front of you, the scenery of rustic satoyama with plenty of secret energy will be greeted by spring, summer autumn and winter. Please enjoy plenty of relaxation like playing in one picture. 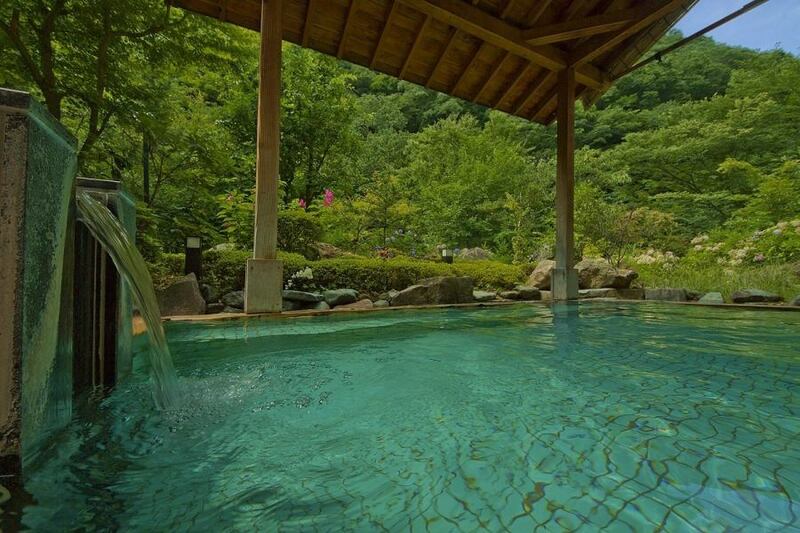 It boasts about 2,000 ions / cubic meter of negative ions floating around the open-air bath of the hotel, while also enjoying a hot spring bath while enjoying a negative ion bath. Please spend a pleasant moment while immersing in panoramic views and elegant atmosphere. For the comfort of our guests, we use a 100% source withdrawal and circulation machine for the prevention of lowering of hot water temperature and hygienic reasons. Copyright2007 KinransoHanayama All Right Reserved.